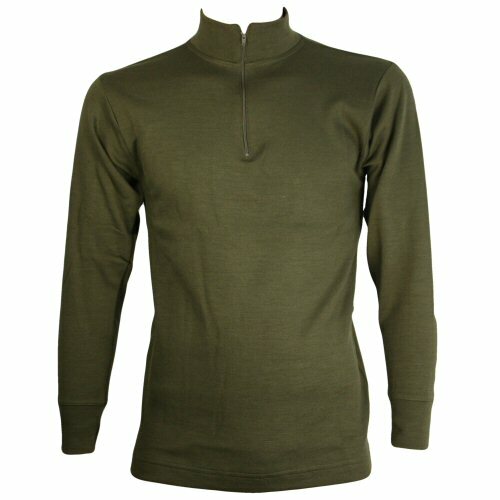 New and unissued Italian army issue, olive khaki, knitted thermal base layer shirt, featuring a mandarin collar with quarter zip, thick wool blend fabric, knit cuffs and twin needle stitched hem. 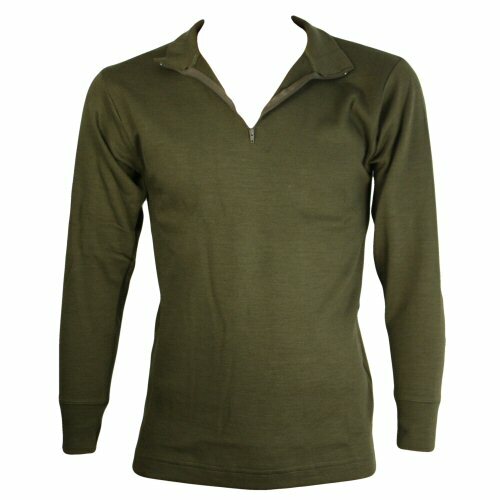 The 220gsm fabric is a 50/50 wool and polyamid blend for cold weather protection and moisture wicking in a soft-touch fabric. The knit is naturally stretching for a torso hugging fit next to skin. Versatile unisex fit, for men or women. Sizes XS (34), S (36), M (39), L (42). Available options are: XS , S , M , L .
The quarter zip collar can be opened if needed. 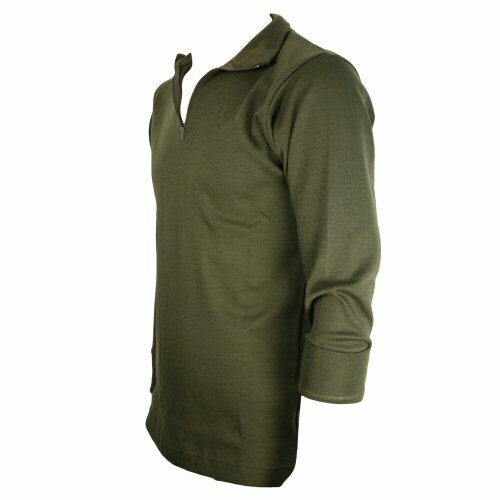 A side view of the shirt. The sleeve has been rolled up. 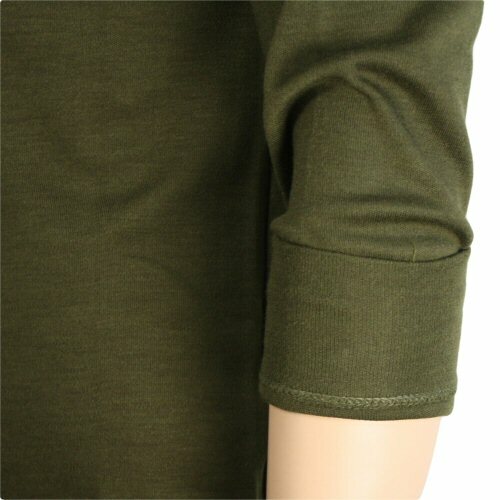 The seams are twin stitched for durability.